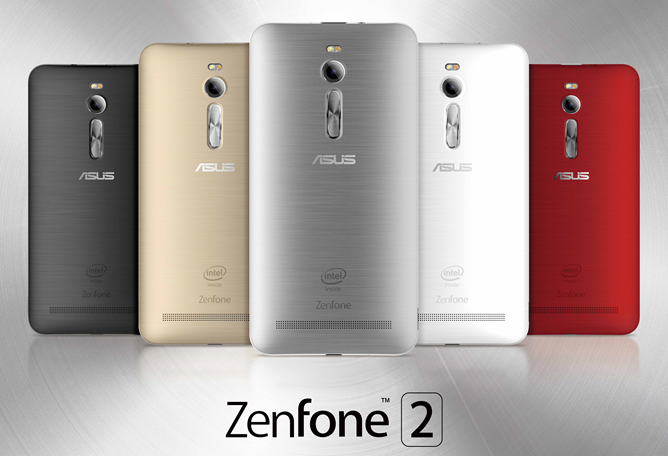 Asus is back with world's first 4 GB RAM smartphone called zenfone 2. Back to back release of zenfone 4 and 5, It become the fastest selling smartphone in reasonable prices. The series of asus zenfone was really awesome with top features. There are lots of smartphones available in market, but the people always look for fastest mobile. Zenfone 2 is much faster than other smartphones with ZenUI and Quad core processor. Below are the top reasons why should go for Asus Zenfone 2. Yes! People always look for the fast performance devices. Zenfone 2 comes with zenUI which is really user friendly interface and fast user performance. When we use multiple task in our smartphone devices, always lags or sometimes disclose the automatic applications. It's really worst when we do important tasks. So, Zenfone 2 comes with 4 GB RAM which boost your performance much faster even in mutliple tasking. And also with 2.3 Ghz 64-bit Intel Quad Core processor, this boost your gaming experience too and lag free. As you know, Asus back with new technology which charges your smartphone battery faster by 60% in 39 minutes which save your lots of time. Most of the other smartphone devices which drains battery faster, while watching movies or playing games. So, Zenfone 2 comes with 3000mAh battery which gives more battery performance. Really worth it, charging is faster and long life battery performance. Zenfone 2 is brushed aluminum back and curved at edges which fit in hands well. Asus Zenfone 2 with ultra-thin and premium design. Even you can check the volume buttons which looks pretty awesome and smooth. I believe one of best phone with cool features and also in design. Zenfone 2 comes with 13 Mega pixels as primary camera and 5 Mega pixels from front facing camera which shoots high quality photos. Even you can capture your photos with shutter lag free means the shooter performance is much faster when compared to other devices. One more awesome feature you can get is Dual LED which boost your shooting performance in night situations. Asus Zenfone 2 comes with 5.5 Inch high definition display with gorilla glass 3 and the resolution is 1920x1080 IPS FHD. By this you can watch and play movies, videos in high definition. Even you can play games in full high definition. LTE connectivity which means buffer less watching and faster real time gaming. ZenUI (user interface) customizes your device on demand. It comes with a new version of Android lollipop 5.0. In future you can find updates from Asus Zenfone. Affordable price with high configuration features. Above are the top reasons to go with Asus zenfone 2 and also one of the best smartphone from Asus zenfone series. Really worth it, cool specifications and new technology. Wait is over, now go for Asus zenfone 2.